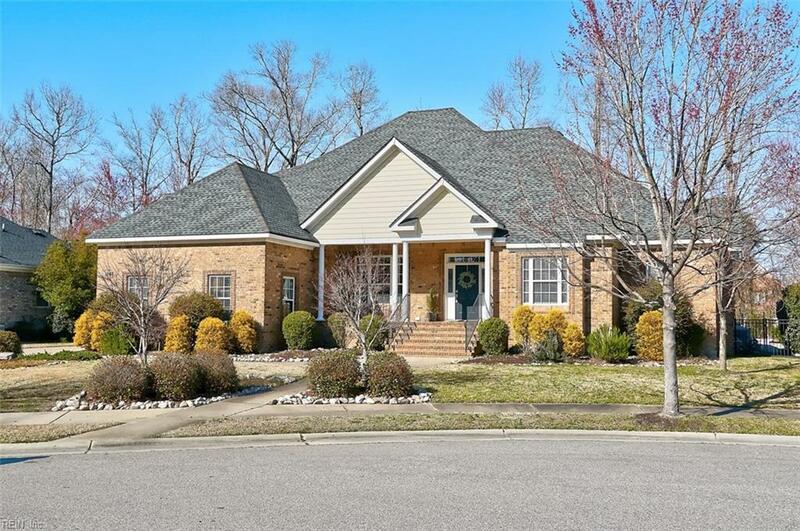 1808 Buttermilk Ct, Virginia Beach, VA 23456 (#10247137) :: Abbitt Realty Co. 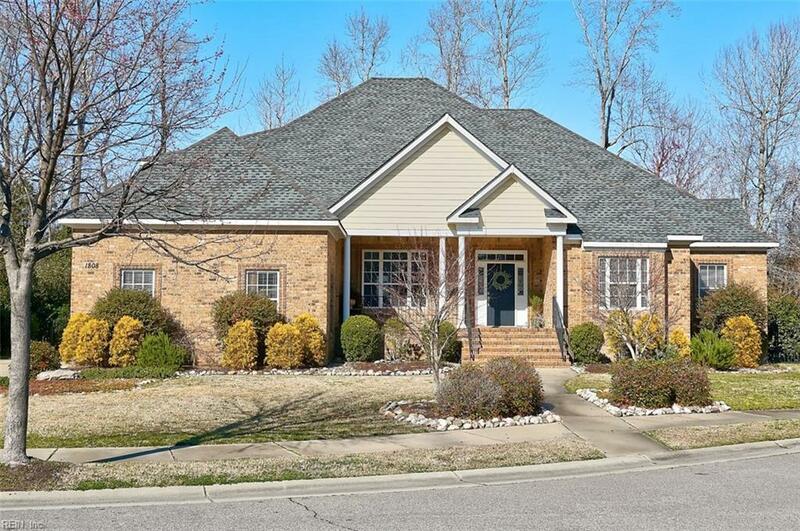 Desirable floor plan on lovely cul de sac lot w/ wooded area behind for plenty of privacy around pool & on spacious covered deck and patio. Outdoor bathroom for pool guests, brick exterior w/ Hardi plank accents & 3 car garage & freshly painted exterior trim. 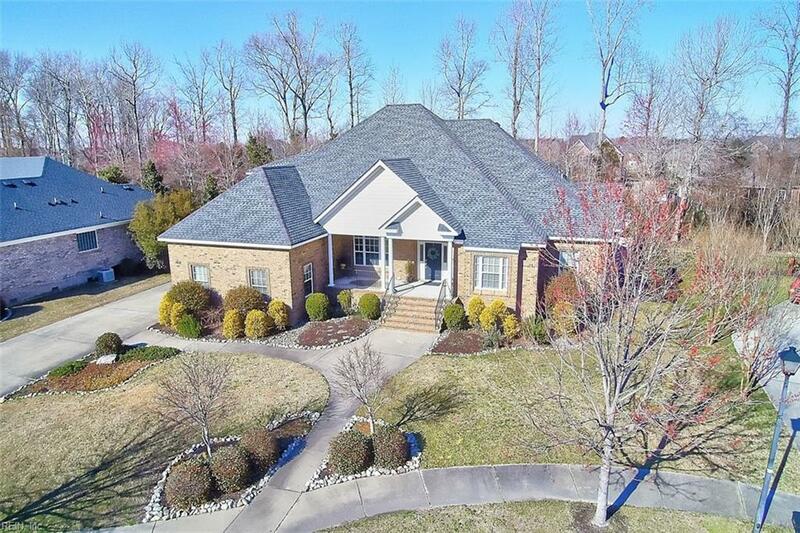 Walk in to an open entry foyer to dining room & great room w/ high ceilings. Master suite wing on right side of home has additional bdrm & full bath as an office/bedroom. 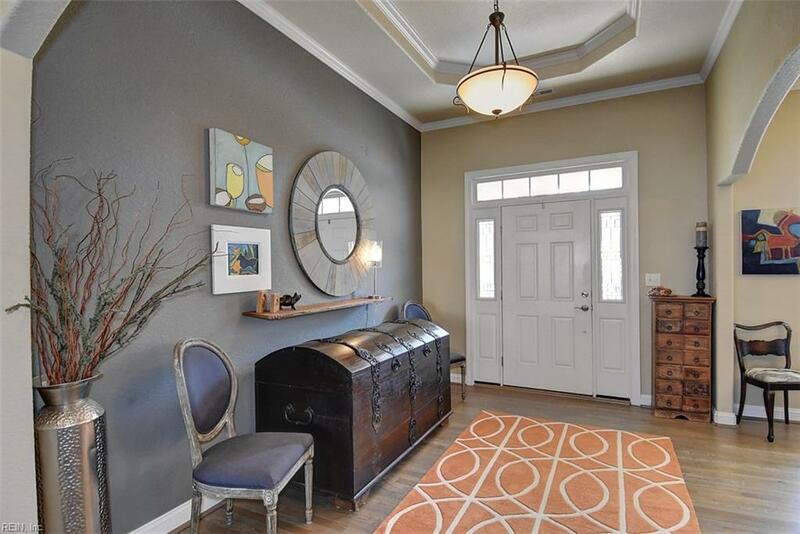 Master bdrm features tray ceiling & master bath w/ separate shower & jetted tub & 2 sink/vanity areas & walk-in closet. Great room has beautiful built-in shelves, wood floors & open to kitchen. Stainless appliances, granite counters & biscuit glazed cabinets. Additional bdrms, bath & room over garage on left side of home & access to utility room & garages. Heritage Park is conveniently located close to beaches, parks, shopping & restaurants & boasts excellent schools & easy access to all major traffic connectors & Oceana. This is a rare find w/ 1st floor master.